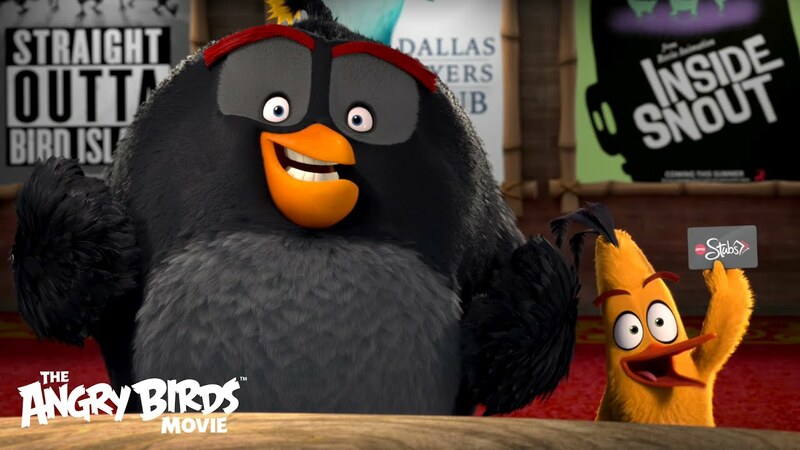 A candid chat with Peter Vesterbacka, Rovio's Mighty Eagle. - The Hieno! Today we had the huge privilege of catching up with Peter Vesterbacka, the Mighty Eagle of Rovio Entertainment. You might commonly associate him with Angry Birds! We had a lively discussion about entrepreneurship, ambition, the importance of role models, and hopes for the future of Singapore, Finland and the world. WW: Hei Peter, thank you for your time today! WW: Our first question is…How do you think Rovio can gamify education? For example, using Angry Birds to teach Physics? We have already been doing just that for the last 5 years. For example in Finland, we created curriculums, made it fun, created our own fun learning networks. We also started opening daycare centres, for instance in Shanghai, Nanjing—one here also in Singapore. Basically we are delivering better learning results than anybody else, and we think that play is an essential part of learning especially for early education in Singapore. It might take around ten years for us to encourage innovation and entrepreneurship from young in Singapore, but we are OK with it. Yeah, ten years, it’s like a short time. WW: What do you think is the main challenge for the education system here in Singapore? The challenge is probably the same as in Japan and Korea. Japan has been facing a stagnant economy for the last 20 years because of education. I have friends who have kids here in Singapore, and do you know what happens in the first day of school? Yeah, that and the teacher tells the kid 80 things he or she is not supposed to do. That’s like the totally wrong approach, because it does not encourage your kid to take initiative, to be entrepreneurial, to do things in a different manner. So we need to change the education system completely. If you look at Korea, they are very afraid that they would become like the next Japan–stagnant economy. So like China, Singapore is also risking getting into that because you simply can’t command a person to suddenly be entrepreneurial, creative or innovative just like that. Startup ecosystems don’t happen like that. I started Slush in Finland, and the story actually is that in 2007, I gave a talk to Aalto University students about entrepreneurship. There were 600 people. So I asked—How many of you would start a company after you graduate? 3 hands went up super fast. Then I felt, oh dear, we have to do something. So I got together with some of my friends—from Supercell, FSecure, MySQL, so basically 300 people were talking about again, startups, and these guys from the companies I’d just mentioned are like start-up superstars. You know—like role models. WW: Wow, Katainen’s pretty honest! Yeah… his point was that the government didn’t do anything to make it happen. He knew about Slush, and Slush is managed by students and volunteers. So it’s bottom-up. We just had Slush last week in Japan, and there, we had 300 volunteers. In Finland, we have around 2000 volunteers each year. WW: Hahaha, that would totally be a challenge. Yeah, I know, but that would be the ultimate success criteria for any startup scene—for the government to admit that they don’t know how it happened. And our answer is, Of course! They’d make mistakes, it’s perfectly OK, and they’d learn, and that’s something very important. So Singapore can also take a leaf out of the Japanese situation, and let the community and young people do stuffs for themselves, and for the community. That’s pretty much the only way you can have sustainable change. That’s why you need to change education too! WW: So why do you think Finland’s economy is not doing well? Ah, young people and startups are going to fix that. ☺ Start-ups do champion creativity and innovation. Old people don’t really know what to do. WW: HAHAHA!! Old people don’t know what to do??? What do you think about old people? Okay, maybe it’s not about the age thing, but the government is a bit like—er—lacking of a vision. WW: What is the current vision of the Finnish government?? Okay, I might be exaggerating a bit here, but I think one of the challenges here is that governments all over the world may not be really sure of what they want to do with or for the country. For example, what is the vision for the new American government—to build a wall around America and have the Mexicans pay for it? And for instance, what is the vision of the Singaporean government? WW: To have a “Smart Nation”, for instance? Yeah, but what does that even mean? I could also say that the vision for Finland by the government is to have a “Smart Nation”. But what really, does that mean? It’s a vision. But it doesn’t really mean anything. WW: Hmm…Yeah from that perspective it doesn’t really mean a lot to the average person. To me, calling Singapore a “Smart Nation” has more of a public relations function than anything else. So basically everybody starts to think that Singapore is a “Smart Nation”. WW: Yes, precisely. I feel like Singapore is riding on a wave, kind of? My impression is like we don’t seem to have a solid base to fall back on—for instance, solid local “born-and-bred” talent, a solid technological base, like Finland does. Yes, but on the other hand, I feel that Finland is not as smart as you guys, so yeah, we are not a “smart nation”. But anyway, let’s leave it as that. WW: HAHAHAHA. On a sidenote, just now you mentioned that it’s possible to do fantastic marketing in Finland. But my impression is that Finns are a bit shy. Do you think culture is an impediment to companies doing fantastic marketing in Finland? So I think it’s like, an attitude thing. We can do anything in Finland, and we can do anything in Singapore. ☺ There’s nobody stopping us. It’s an attitude thing. If you are doing a startup, you gotta believe that you can change the world. WW: Moving on to the next question—Did you actually create Angry Birds to have international appeal? As in, was Rovio “born global”? Everything we do is global. Finland is a small market, of 5 million people, and it doesn’t make any sense to do things just locally. So everything we do, by definition, is global. It is the same thing with innovation—it is something we don’t think about. For instance, we don’t think about “Oh, should we do something that is innovative?” We simply don’t. Companies which talk about innovation are perhaps companies which are seriously lacking in innovation, because…how could you do it any other way? WW: As in, because Finland has the Finnish language, doesn’t it? So isn’t it a barrier to being global? Yeah, so we try to do it with as little words as possible, by relying on visuals. But you know, everything we do at the core is global. We target the global market. WW: That’s pretty cool, and the Angry Birds Movie is currently out– with some good reviews? How do you feel about it? Actually we only have had the opening week, and of course we are happy with the good results. But again, we do many things, movies, entertainment, games. Everything is great for the brand, and everything we do supports the brand. So you see, it’s all part of Angry Birds. WW: But the movie took some time to produce, doesn’t it? Yeah, it took four years. It took a while to make it. It’s like the most expensive game trailer of all time. WW: Do you think that in general, Singaporeans and Finns are ambitious? Not ambitious enough. That applies to Finnish people, and also Singaporeans. We definitely need to be more ambitious. The world is a big place! You should try not to be number one in Finland or in Singapore, but to be number one in the world. There is no reason why not! So I always tell people that they are not ambitious enough. WW: Do you think Finns and Singaporeans have the capabilities to be ambitious? And that’s why I think there is no reason why that would not happen in Singapore. WW: Hmm, so how do you think people can cultivate this type of attitude? I think it IS about the attitude, and you simply have to believe that you can do anything. And you have to tell yourself, of course you can! And don’t believe people who would tell you otherwise. So it’s like, of course you can do the best games. Of course you can do the best marketing. Of course you can do the best…whatever. And it’s actually true! Again, why wouldn’t it be? There’s nothing wrong with Singaporean people, nothing wrong with Finnish people. Nothing wrong with American people, and nothing wrong with Chinese people. WW: What if you believe that you can, but you don’t have the resources? But you have unlimited resources! It’s Singapore, come’on!! Unlimited resources! WW: … Is it a matter of asking? Come ON! It’s unlimited. Unlimited resources I go to Jarkata, and it’s unlimited. I go to KL, and it’s almost unlimited. I go to China, and there is like 1.4 billion people, and they speak the same language as a lot of people in Singapore. And some of them even speak English. So it’s like, what’s the problem? Won’t you agree? WW: …Okay, I got it. Haha, we know that next year is Finland’s 100 years of independence. Do you have any wishes for #Suomi100? What are Rovio’s plans for it? Suomi 100 is going to be amazing! Rovio will probably do something, and we’d make it great. WW: Do you think there is a language barrier in Finland that prevents companies from expanding overseas? We don’t speak enough Chinese. That’s like a barrier. It makes it more difficult to do business with China, and that’s a huge market for us. China is a big part of the Eurasia area, and Helsinki is like a capital for the Eurasia area. WW: Do you think Chinese has replaced English as the new lingua franca? Nope, I think we have to speak English plus another language. Like English and Russian. English and Spainish. English and Chinese. Of course, everybody speaks English because that is like a given. WW: Uh, Okay then I think I should learn Finnish. Nah, it’s just 5 million people there. WW: I mean, if I’m going to stay there, then I had better learn……. You’d learn, it’s an easy language. Yes, sure, of course. It’s the same here in Singapore. Whenever I talk to different Singaporeans, they all say different things and have different perspectives as well. It’s not like just one perspective. WW: What do you think about failures? I think we should not treat failures too seriously. Nobody likes to fail–but when we think about “losing face”, it’s just a figure of speech. No real physical face is lost. So–don’t take failure too seriously! WW: That’s very true. On a sidenote, what are your hopes for the Chinese market? And then we start to think, what does that even mean? Who’s the current leading Chinese brand, and who’s the current leading American brand, who’s the current leading Singaporean brand? The answer is that we don’t know, because it’s impossible to measure, but that’s what we love to do. WW: Is that why you partnered with Alibaba for the Angry Birds’ merchandise? Yeah, we partnered with Alibaba, we work with partners from all over the world. And most importantly, notice that I say that we want to be the leading Chinese brand, not the leading brand in China. It’s not just for China. We want to be the leading American brand, the leading Singaporean brand, the leading Finnish brand. This is how we stay super local, super global. WW: On a parting note, do you have any words of wisdom for aspiring entrepreneurs? That was excellent interview and quite informative apart from his assessment of elder people, how old was his professor at the uni ?